Lhea is becoming one of my shoot regulars since this girl is such a trooper. Ever since this shoot, several netizens have either been suggesting or asking when she would have her own gravure title. It’s an interesting proposition, and might consider it some time in the future. What started out as a test shoot just for fun, ended up being an editorial feature in a Guam-based magazine. If you want to see more of Lhea’s hot hot set, you can check out her IdolZone page here. 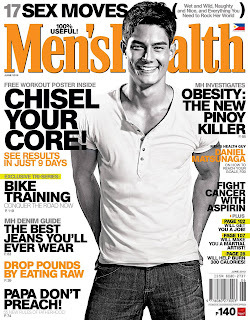 It’s a tandem cover issue for June! 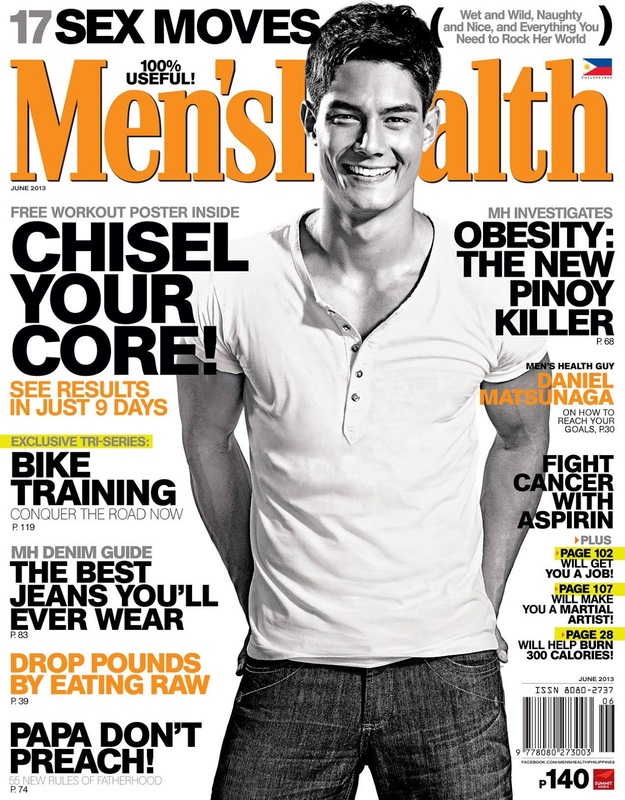 Asides from WH cover with Maja, I also got the privilege of shooting the cover of Men’s Health for the same month, this time with Brazilian-Japanese model Daniel Matsunaga on the cover. This is a rather short post for the lack of behind the scenes images. I was only able to grab one shot from Glen, MH’s veteran art director. Thanks to MH’s team Art Director Glen, who took this panoramic shot of the setup. Had to wake up damn early for this one, since the sun would already be scorching hot by 8AM. After more than usual shot of caffeine, it was a fun shoot with Daniel who was more than game to kick the ball around the entire field. For this month, I had the pleasure of working with one of the prettiest young celebrities in the industry. It’s been awhile since I last worked with Maja, and glad to say she was still the bubbly girl I knew before. Last time I shot her, she was a girly tweetums outfit, now she has abs to flaunt. Hahaha.